This research grant is intended to provide U.S. research opportunities for Indonesian university doctoral candidates who are in the final stages of writing their dissertation. The grant duration is for a period of 6 months. The applicant should have a minimum ITP TOEFL score of 575 or IBT Score of 90 or IELTS 6.5 to participate in this program. Please note that TOEFL prediction or TOEFL-like score cannot be accepted. 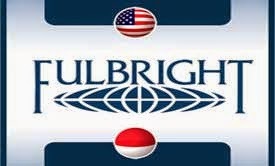 Demikianlah informasi mengenai Fulbright Doctoral Dissertation Research Program, American Indonesian Exchange Foundation, USA semoga berguna bagi anda.